This page explains the A' Design Award's politeness policy as well as the autodesigner concept. What makes a design award prestigious? There are several aspects that contribute to the fame and prestige of the design award but among all of these value propositions, perhaps fair judging comes the first. Fair judging means that entries to the competition are judged in a fair way. When entries are judged in a fair way, the competition results become more relevant because they are more trustful, more objective. When the competition results are objective and trustful they can be shared by media and press members more easily, and which also contributes to the fame of the award due to increased publicity, furthermore when you win a fair design award, you can publicize this information easier, since your design achievement is genuine. The Grand Award Jury, which is truly composed of world class designers, legendery academics, international press members, exalted design enthusiasts and brilliant entrepreneurs are able to evaluate entries in multiple perspectives. The award jury is composed of voluntary experts who take pride in their work ethics as well as their professions. The design award jury are selected among numerous applications based on their diverse qualifications and backgrounds. 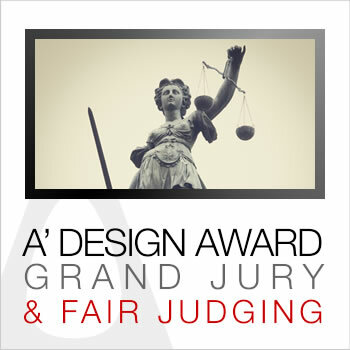 The Grand Award Jury is able to vote entries with professionalism and from different angles, the Grand Award Jury also signs the Juror's Agreement which details and describes the ethics of the jury entry evaluation process to ensure your work is carefully reviewed and judged. The voting systems captures the votes cast by jury members in a numeric way, so that results could be compared statistically. One of the aspects that make the A' Design Award more fair than any other design competition is indeed the bureaucratic and perhaps rather difficult entry process which requires participants to follow strict presentation guidelines. The Presentation guidelines allow bias removal through normalization of entries; when all entries are equally well presented, only in this case the jury can judge the work instead of its presentation. To ensure further normalization of entries, preliminary checks are provided free of charge to all entries without further obligations to join or nominate a work. 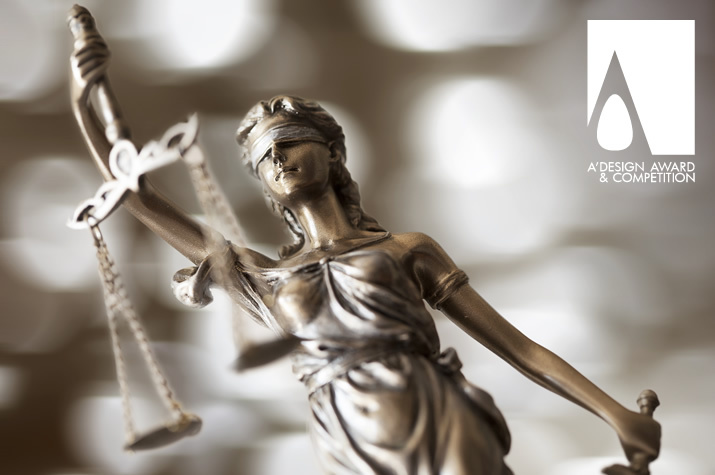 Preliminary checks mean a preliminary jury member would be checking your work and giving your work a score from zero to ten as well as indicating any potential issues regarding your entry, such as providing simple tips to increase its presentation quality. To ensure that the entries could be evaluated for their intrinsic design values instead of the way they are presented, the advanced submission optimizer software, designed and developed by A' Design Award allows further normalization of entries by optimizing them, helping each entry be presented perfectly and thus the jury could truly focus on the work rather the way the work is shown. The Advanced Submission Optimizer service is provided free of charge to all entries without any obligations to join or nominate a work upon its usage. The blind judging process means that the jury members do not know whose work they are judging. This is especially required so that anyone can compete with anyone else on equal grounds, the blind judging process aims to remove any personal affections or biases towards existing brands or people. The presentation guidelines and preliminary checks ensure that submitted entries are devoid of marks or text that could make the designer of a design identifiable. Peer review process means your entry is evaluated by design professionals who have a good and in-depth understanding of design practices and principles and who have similar competence. Peer review methods are employed to maintain high standards of quality, improve evaluation performance, and provide credibility for the evaluation procedure. It means your work is evaluated by experts in the same field. In most design awards, entries are judged by professionals and scholars only, however this creates a gap between what the public would consider as valuable and utilitarian and what the academics and peers would consider good. The Focus Group consists of members of design media such as editors as well as design enthusiasts and semi-professional designers who have a weight in votes for several criteria based on category. Jury members reflect their experience while they vote, however to ensure that votes are captured in a uniform way, the voting is based on a set of criterion, the criteria are determined by hundreds of jury members after pre-voting surveys are accounted for. Criteria based voting means ensures that different jury members evaluate your work under same considerations, making the votes comparable and quantifiable. Furthermore, each criteria has a different weight, and each part of jury has different weight for different criteria, depending on qualifications. Some jury members could be rigid, with high bars set for evaluating good design, giving low scores to your work, and meanwhile some jury members could be more relax, with low bars set during evaluation, giving high scores of your work, to ensure that each jury member vote is comparable, their scores are normalized, thus if you got a score of 10 out of 100 from a rigid jury member with average score of 10 out of 100 for example, we could normalize that to 50, so that your work does not get a penalty during evaluation just because it hit a hard jury member. Price differentiation and account types helps subsidize entries of young designers, start-ups and individual design professionals while large agencies, companies and enterprises are asked to pay higher fees in comparison. Policies and campaigns such as the Design Ambassador Program as well as Design Award Scholarship grants complimentary nomination to those who are in need, making the competition fully accessible. No further fees policy is an important, significant aspect of A' Design Award. In other design awards, you might be required to pay extra fees, further fees, to pay costs if an prize is awarded, or contribution fees for book or exhibition, or gala-night booking fees and many similar fees that are asked from you after you win the competition, these fees make such competitions less prestigious and make their motives questionable, at A' Design Award, there are no further fees. The A' Design Award and Competition was designed after a scientific study, empirical research and statistical consideration of hundreds of other design award and competitions, the very best aspects and best value proposals of all design competitions were synthesized to create the World's best design award. The A' Design Award is designed to achieve highest value for its winners from the very moment of its existence and it is being developed and refined each year to achieve perfection. The A' Design Award and Competition is being advanced every day thanks to our ongoing development policy to provide laureates and participants the highest value proposition. Your work is not judged based on your political views or position, every nomination is considered on equal ground. There are no nephews, brothers, clan members, relatives, mentors, political party leaders, opposition or lovers that could effect the review process. The Apolitical Review policy ensures that your design score is solely based on your design and no other external factors. There are over hundred different design competition categories that allow everyone to compete with others in their own field of design. The inclusive aspect makes the A' Design Award a universal design accolade where all design fields can join and compete. Furthermore, the eligibility conditions do not exclude any work or group of entrants. You do not need to be a member of an organization to join, and both concept as well as realized entries can be submitted. The competition is open to entries from all countries and regions, but most importantly, the design award call for entries, results announcement and presentation texts are available in almost all languages and public relation campaigns are run in multiple countries to provide equal local as well as international publicity opportunities to all winners. The A' Design Award is transparent in many dimensions, for example the terms and agreements are clearly stated, competition end of year statistics are available as well as score sheets for the awarded works, the list of jury members and the fact that the competition is not free, and even risks of joining design competitions are highlighted because the organization respects the participants. Some design contests are designed to steal the design rights of entries, by sending your designs to these contests you might lose not only the right to register or patent your designs, but you could literally transfer or be obliged to sell your designs. At A' Design Award and Competition, you keep the rights to your designs, and we only wish to get the opportunity to publish and therefore advertise your works. Given all these aspects, we had to include the fair judging as a part of the A' Design Prize. While there are other design competitions that would promise a professional judging procedure, fair judging requires fairness in multiple dimensions, including equal opportunities, grand award jury, no further fees, score normalization and entry normalization to reduce any biases during voting. When you win A' Design Award, you can proudly communicate your victory, as you win a design competition that is righteous and fair as well as well spread and international. Join A' Design Award and Competition today for a fair evaluation of your work, submit your design for a complementary preliminary score now.